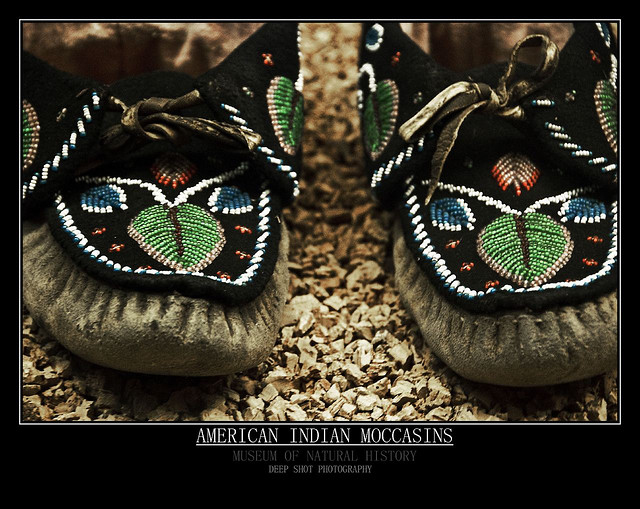 Native American moccasins; the name "moccasin" originates from the Algonquian language (as does the name "Massachusetts"). Photo by Arjay on Flickr (noncommercial use permitted with attribution / no derivative works). "Mess," "mass," or "massa" (great). "Atsco," "as chu," or "wad chu" (hill). "Sec," "sac" or "saco" (mouth). "Moswetuset" (arrowhead); describes the Great Blue Hill region south of Boston. Massachusetts USA (public domain image). Geology and topography map of Massachusetts from USGS; A Tapestry of Time & Terrain. 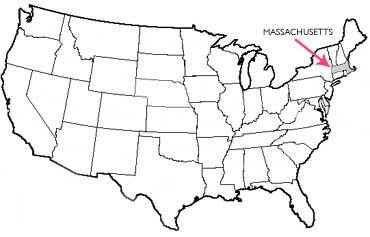 Add Media for Origin of "Massachusetts"